Atari, the name synonymous with the video game revolution, presents the ultimate arcade collection. 12 of the best classic Atari games with all the fast action, sights and sounds you remember! Asteroids®, Asteroids™ Deluxe, Battlezone®, Centipede®, Crystal Castles™, Gravitar™, Millipede™, Missile Command®, Pong™, Super Breakout®, Tempest® and Warlords®. 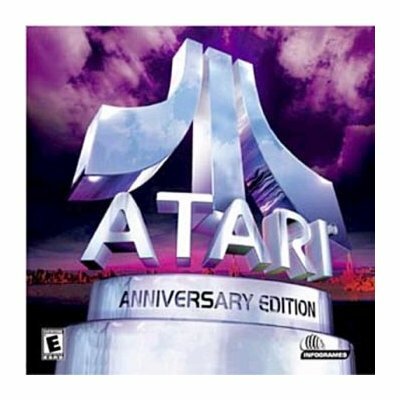 Each Atari title is faithfully reproduced down to the last detail, and each one is just as easy and fun to play. 12 Classic arcade games on the screen the way they looked when you first stood in front of them in an Arcade and emulated with minute details such as Asteroids' inability to show three initials in the tenth spot on the high scores list. Players can go into the configure box and modify the way each game is played. There are options for enhanced graphics, a "trippy mode" for Asteroids, and the ability to tweak difficulty levels, among others. There are even desktop themes to choose from which will replace the wallpaper, screensaver, icons, and sounds in your PC with ones related to your favorite Atari game. Each game is playable with a joystick, mouse, or keyboard and the developers focused on emulating the feel of the trackball in games like Centipede and Missile Command. The same is true of the knob used to play Tempest, Pong, and Super Breakout. 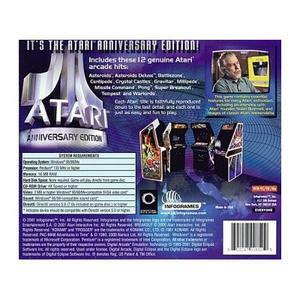 Players with access to the web can go to the official Atari web site and enter their high scores into the company's server. Who's the best Tempest player in the United States? You can find out there.